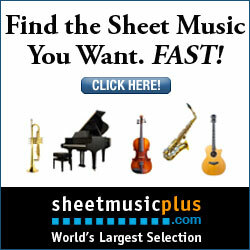 All sheet music available here are printable on a short term basis only. No notice will be given for any sheet music deleted here. So better get them fast before they disappear! In printing the sheet music you are agreeing that they will be used only for personal, educational, and NON-commercial purposes.